Our second day did not just end with Ocean Park adventure. Next stop on our list was to check out the SkyTerrace and Madame Tussauds Wax Museum. 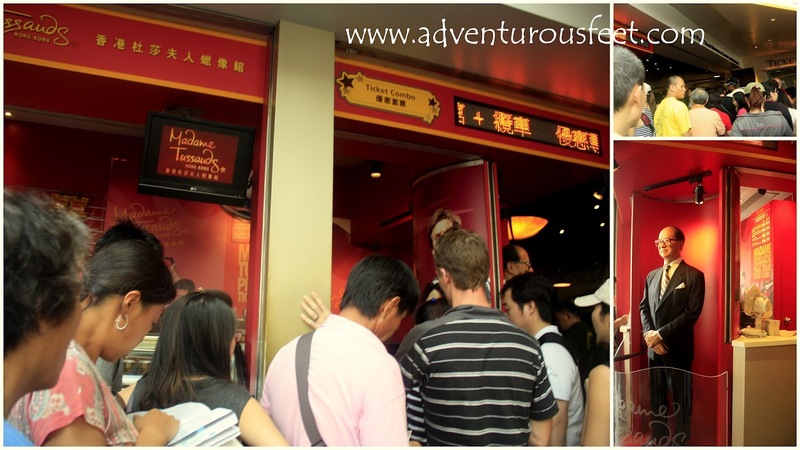 Both are located in The Peak Tower, on top of the mountain called Victoria Peak or locally known as The Peak. Take a bus until you reach the Peak Tower. Peak Tram is a short train going uphill to reach The Peak Tower. Riding Peak Tram is already an experience. The lower terminal is located near St. John's Building in Garden Road, Central in Hong Kong. You can use your octopus card to ride The Peak Tram only or you have the option to buy ticket for the Sky Terrace together with your Peak Tram pass. How To Get To Peak Tram Lower Terminus? 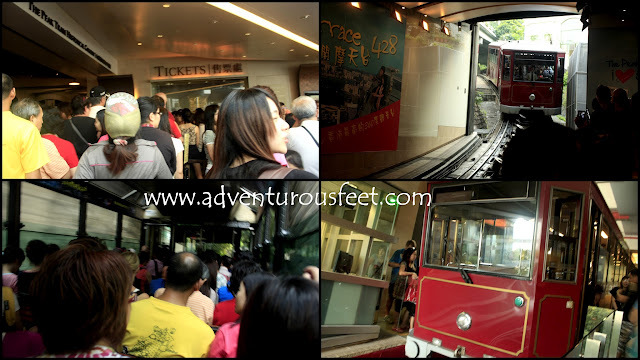 I'm really curious so we chose to ride the Peak Tram. If you will look closely in google maps, Garden Road is near MTR Admiralty Station or MTR Central Station. It will take you around 15 minutes to reach it by foot, or you can simply take a cab from the MTR station. And because I don't want you to get lost like what happened to us, here's what you should do if you want to just walk from Admiralty to Lower Peak Terminus. The CityBus 629 bus from Ocean Park will drop you off back at Admiralty station. Locate the Lippo Center Tower 2 Building in Queensway Road. From the map, Admiralty Station exit B is at the back of Lippo Center Building. There's an over pass at the Lippo Center Tower 2 that will just take you all the way to Garden Road. You need to locate Drake St., Cotton Tree Drive, Queensway Road corners of Lippo Center Building. It would be of help to see the Bank of China Tower, the building is of unique design. If you're seeing Bank of China Tower standing from Lippo Center Building, then you're good to go. The overpass is a long walk and will lead you to Garden Road. Great view taken from Hong Kong overpass. As soon as you reach Garden Road, get off that overpass and walk directly to Peak Tram Lower Terminus. You will see St. John's Cathedral along the road. I did not expect a huge line in Peak Tram Lower Terminus extending St. John's Building. While some of us were falling in line, two of us went to the starting line. We found out, there's a ticket booth for Madame Tussauds Wax Museum. They have a special line, wherein if you avail wax museum entrance ticket, you can go in, hence, shorter line. We bought these bundled with Sky Terrace and Peak Tram ticket pass since part of our trip was to see Madame Tussauds Wax Museum. I forgot the exact capacity of the peak tram but it's below 100 people. The rail is one way only so we waited almost an hour before we were accommodated. Though it's really tough to ride peak tram during peak hours, I still think it's one great experience to ride a train going up the mountain. The building structures you see on your window looks like leaning especially when going down, when in fact you are the one in inclined position. 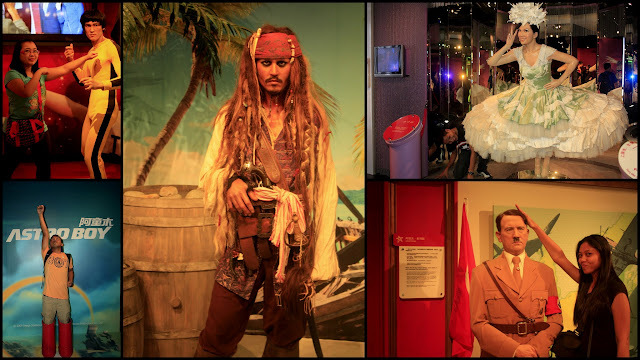 Madame Tussauds Wax Museum is a pool of wax figures of known personality. Madame Tussaud, a wax sculptor, is the founder of the Madame Tussaud's Wax Museum (apostrophe is no longer used). 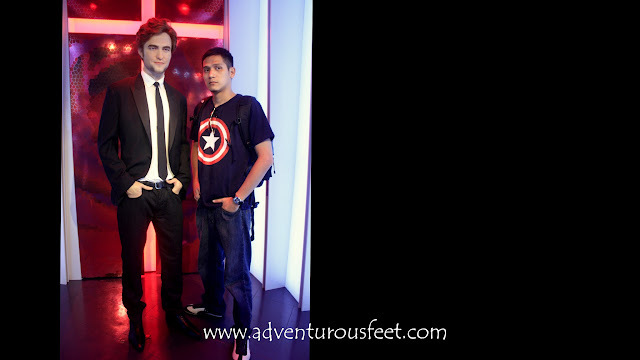 If you like seeing different wax figures, have picture beside them, then you'll enjoy the place like what we did! Aaron Kwon, a chinese actor, with our own models hehe. Horror house inside wax museum. But not scary for me. My favorite pic! I'm a sumo wrestler! 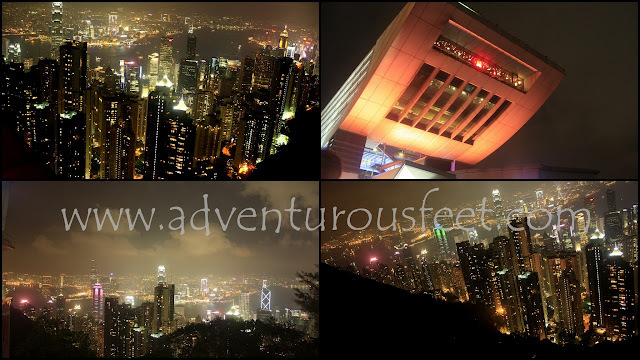 At the top of The Peak Tower is a 360 degrees platform with fantastic panoramic view of Hong Kong City. 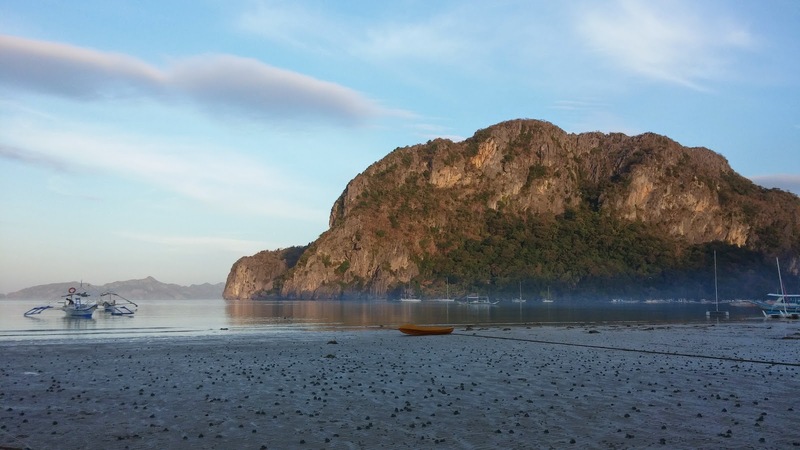 It is a lovely sight in the morning, but we prefer a night visit for cityscape lights to see. Forgive the pictures, I wish I knew about cityscape photography. Huge crowd so prepare! Mahirap sumingit! We wanted to check out Symphony of Lights at Avenue of Stars after, but due to circumstances (getting lost, took hours in falling in line even going home) we missed it. Nevertheless, this is one heck of a day! Funny though, Golden Crown Guesthouse is near Avenue of Stars. We still have reasons to go back in Hong Kong right? Thank you for reading part 6 of my post. Next post: daytrip to Macau! enjoyed reading of the latest Hk series, very informative and helpful for those planning to take a HKG vacation. onga si ipman ang highlight! hehe! I love your shot of the HongKong skyline at night! it's beautiful! All of us go over a person's location which is great. It has instead attractive as well as fascinating materials that we like the vast majority. Right now click the link follow-up Check Cashing Oceanside Which I enjoy your time and effort an individual will to build up the area.